Nearly five years ago, when we were sitting shiva for my mother, one of my sister's friends from The Frick Collection came by with a beautiful orchid. 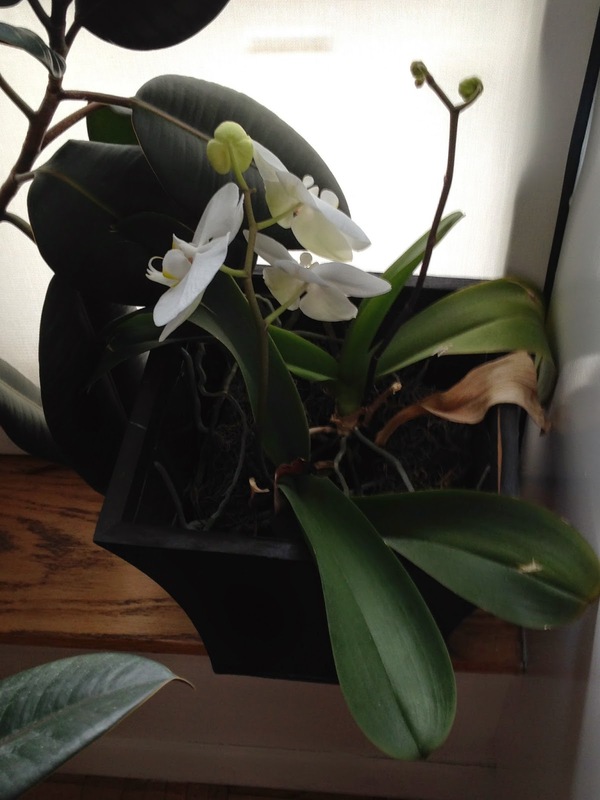 It's been in my sister's apartment ever since and, without fail, blooms at auspicious times: during the week of my mom's birthday, around the time of her yahrzeit, and when my sister signed her book contract. Once again, the shiva orchid is in full bloom. Like us, it's celebrating the end of chemotherapy and the arrival of spring.